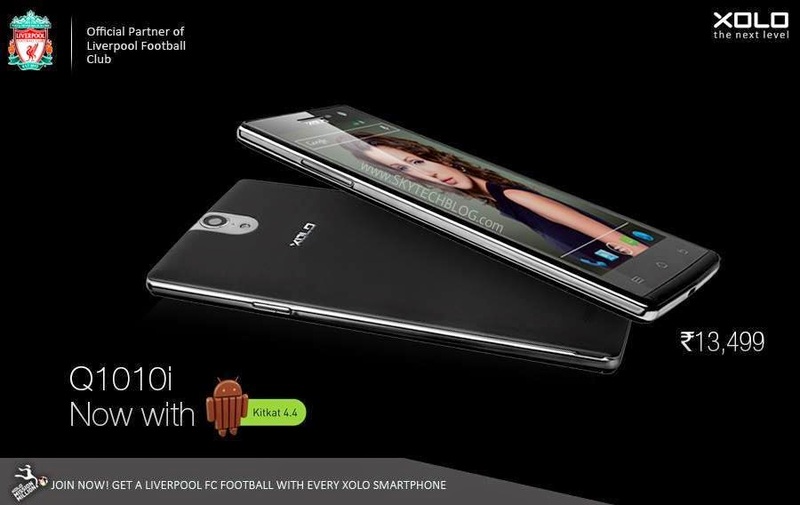 Xolo launched the Xolo Q1010i earlier this year Xolo Q1010i is the latest Q series smartphone from Xolo, this device comes with mid-range specs at an affordable price. It has the combination of good hardware and software on board it boasts a 5 inch HD display and is powered by a 1.3Ghz MediaTek MT6582quad core processor. It runs on Android 4.2 Jelly Bean out of the box and now it has finally received a Android 4.4 KitKat update which was promised by Xolo at he launch. Xolo also started providing a OTA (Over The air) update so that the users can directly install it on their devices without any problems. Xolo have released the software update on their official website and it can be downloaded from here or here. Xolo also posted the instructions for How To Update the Xolo Q1010i t Android 4.4 Kitkat which is as followed. Enjoy the upadte and share your experience with us!